RUSH: You know, I know as an adult and as a decent, nice person, I know as a person with manners and sense of propriety that you’re not supposed to comment on the way people look. In fact, I’ll tell you a little story for those of you who are listening here but never had a chance to hear my mother call this program or in other ways be involved in my life. She passed away in 2000. Early on in this program’s history, likely the first six months of the program in 1988, somehow we ended up discussing the most unattractive presidential daughters. I think a caller brought it up or something, and I engaged. I accepted the premise and began talking about it, and I offered a name. It doesn’t matter who I said. So I finished the program, I went home, and I called my mother every day. So I called her, and she just read me the riot act. She said, “Son, you can’t do that. You just can’t make fun of the way people look. They can’t help it. You’re never gonna last. You’re never gonna go anywhere if that’s the way — I mean, to talk about the most unattractive presidential daughter, that’s just not something you should do. Besides, you forgot Margaret Truman.” (laughing) I just busted up. I could not stop laughing. After reading me the riot act, she gave me her opinion. Anyway, when I look at this Lois Lerner, IRS babe, I see somebody who is miserable, mean, vindictive, unhappy, and vengeful. The woman just encapsulates all of that just in her facial expression. This is the woman who led the IRS effort to essentially disenfranchise the Tea Party. This is the woman at the IRS who was responsible for all of the decision-making, aside from Obama. I mean, I don’t want to leave him out of this because he’s the inspiration for these people. He’s the guy all of these people, the Lois Lerners of the administration, are trying to impress. Obama is the guy they are all trying to please. They are in these positions because Obama or his people put them there because they’re not gonna need a memo of instructions; they’re already going to know what to do. Obama doesn’t need to send his people at the IRS an instructional memo, i.e., a smoking gun memo on giving the Tea Party a tough time. They already are inclined to do it on their own. It’s who they are. That’s why they’re there. And I say that because, again, when this happened people said, “Does Obama know?” Does Obama know? Obama is the guy who inspires this. This is the woman who saw to it that all of these applications from the Tea Party for tax-exempt status were delayed or denied. This is the woman who led the effort at the IRS to target Tea Party individuals and organizations because 2010’s not gonna happen again. We’re not gonna have that again. The Democrats are not gonna get shellacked like that again. We are gonna do everything we can when we’re in charge. When we run the government, we are gonna use it to punish our opponents. That’s what it’s for, in their view. The government is a weapon; the government is an anvil. We conservatives do not look at it that way, of course, and that’s why this is so reprehensible. Now, it is said, ladies and gentlemen, the American people en masse abhor this kind of behavior by the IRS. I beg to disagree. I think most Americans are themselves petrified of the IRS, and it is my opinion that most people think this is standard operating procedure at the IRS. I mean, even people who’ve not been audited and who have not encountered the IRS still have this belief. I mean, they’re scared of it, and that’s by design. 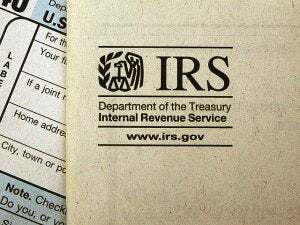 The IRS is the most successful collection agency in the world, and they use fear and intimidation to succeed. Now, a lot of this is traced back to Richard Nixon. Richard Nixon is falsely accused of using the IRS and sicking the IRS on his enemies. Nixon never did it. He thought about it, and he may in fact have wanted to, but he never did it. It never happened under Nixon. It did happen under Obama, and it continues to happen because 2010 is not gonna happen again. And they all know that money is the mother’s milk of politics, as it is said. A flashback from the Weekly Standard. They did a story on May the 20th of last year: “IRS’s Lerner Had History of Harassment, Inappropriate Religious Inquiries at FEC.” I know who this woman is just by looking at her. I know who this woman is just by looking at her, listening to her speak, look at the facial expression she makes when speaking and by virtue of what she did. I know what she hates. She hates social conservatives. She despises them. Probably rooted in abortion, but it’s bigger. It’s rooted in conservatism, right wingers, but it’s the social side that she just… I know this without knowing her. You can see it, if you know how to look, and I do. I’m highly trained at this. Well, not so much highly trained at this. This is just intelligence guided by experience. So she was brought back to Darrell Issa’s committee today, the oversight, House Oversight Government Reform Committee, looking into the IRS targeting of Tea Party groups. She was brought back after claiming the Fifth Amendment in her first appearance. However, there was a problem, because she delivered an opening statement in her first appearance, and that, said many legal scholars, constituted her abandoning her Fifth Amendment pledges. She couldn’t make an opening statement and then decline to answer questions because she had already thrown away the Fifth Amendment reservation. That didn’t go anywhere, for the usual reasons we talk about here. There just isn’t a whole lot of energy and desire devoted to seeking reciprocity by the Republicans on these people. There isn’t any real desire to hold these people accountable. The purpose of these hearings is for people to see that Republicans are getting mad and doing something about it or trying to, but at the end of the day, nothing’s changed, nothing’s happened. She took the Fifth Amendment again today. And before she showed up today, she put the word out that she feared for her life if she were made to testify again. Oh, yeah. Oh, yeah. Those Looney Toon Second Amendment right wingers threatened her life if she had to show up and appear in public as a sitting duck as a witness before Issa’s committee. So she shows up today, she takes the Fifth on every question, and Issa said, “Okay, we’re done here,” and she’s gone, and she’s free and clear, and not a thing is going to happen to her. The hearing on the IRS targeting of conservative groups erupted into an argument between Elijah Cummings of the Congressional Black Caucasians and Darrell Issa, the committee chairman, the House Oversight Committee chairman, just moments after Lois Lerner invoked her Fifth Amendment right not to testify in regards to her role in this scandal. Now, the headline here… This is a CBS Washington story. Here’s the headline: “Issa Walks Out of IRS Scandal Hearing as Cummings Calls Proceedings Un-American.” You note there the headline tries to make Issa the hotheaded bad guy. Oh, yeah. Lois Lerner shows up, takes the Fifth Amendment, all hell breaks loose, and Issa basically turned off Cummings’ microphone because he wasn’t asking questions; he was making political statements. Issa walked out and left, and so they had, “Issa Walks Out of IRS Scandal Hearing as Cummings Calls Proceedings Un-American — ‘The spat began as Rep. Issa, stood up to adjourn the hearing, but Rep. Cummings requested to ask a “procedural question.” While making a statement, Issa asked Cummings to yield when the Maryland Democrat became incensed at the California Republican. “Mr. Chairman, you cannot run a committee like this,” Cummings appealed. “‘If you will sit down and allow me to ask a question,’ Cummings insisted. ‘I am a member of a Congress of the United States of America.’ If a committee has been officially adjourned, there can be no more questions. If Mr. Cummings doesn’t like that procedural rule he should try to change it,” but Issa wasn’t changing any rules. Let’s go to the audio sound bites. This is Lerner refusing to answer questions and taking the Fifth. ISSA: What did you mean by “Cincy should not have these cases”? LERNER: On the advice of my counsel, I respectfully exercise my Fifth Amendment right and decline to answer the question. ISSA: Why would you say Tea Party cases were “very dangerous”? LERNER: I respectfully exercise my Fifth Amendment right and decline to answer that question. ISSA: Why were you worried about this being perceived as a political project? ISSA: President Obama stated that there was “not a smidgen of corruption” in the IRS targeting. Do you believe that there is not a smidgen of corruption? LERNER: On the advice of my counsel, I respectfully exercise my Fifth Amendment right and decline to answer that question. RUSH: She’s not gonna answer anything. There not a smidgen of corruption here, and she not gonna answer anything. She gonna take the Fifth Amendment, but there’s no corruption here. Everybody knows that there was. You know, the real problem here is that every Democrat in the country thinks this is fine and dandy. I don’t know what percentage, but every Democrat I see says Lois Lerner’s a hero. Every Democrat says, “That’s the way! Use the government as a weapon. That’s what it’s for. The government exists so that we can use it to wipe out conservatives and eliminate ’em. That’s what it’s for! Yay! You go, Lois.” That’s what they’re saying. This is when Elijah Cummings tried to get his spin in there, and Issa adjourned the committee, and then Cummings started screaming. CUMMINGS: I am a member of the Congress of the United States of America! I am tired of this! CUMMINGS: We have — we have members over here each who represent 700,000 people. You cannot just have a one-sided investigation. There is absolutely something wrong with that and this is absolutely un-American. ISSA: We had a hearing. It’s adjourned. I gave you an opportunity to ask a question. You didn’t have a question. CUMMINGS: I did have a question. ISSA: I gave you the opportunity to speak. CUMMINGS: Mr. Chairman, what are you hiding? UNIDENTIFIED CONGRESSMAN: He’s taking the Fifth, Elijah. It’s already a one-sided investigation. O’BAXTER: But no mass corruption? OBAMA: Not even mass corruption. (snicker) Not even a smidgen of corruption. RUSH: No way! “Not even a smidgen of corruption.” Obama was gonna say there, “Yeah, it was just some out-of-control locoweeds in the Cincinnati office.” Somebody better clue him in. That’s already been blown up. This was way beyond Cincinnati. But that’s all he was gonna say it was. “Not a smidgen of corruption?” And here is this vile, vindictive woman taking the Fifth. Later on, Issa, after the hearing, explained why he adjourned and turned off the microphones on Elijah Cummings. ISSA: After an exhaustive seven questions, I determined that she was not under any circumstances going to testify, and — pursuant to an already completed hearing, other than her testimony — I adjourned. Mr. Cummings did not raise a point of privilege or a point of order, and, in fact, I did recognize him when he said he had a question. He went into an opening statement. Opening statements had already been completed. I left, because there was no question pending. He was talking into a mike in an adjourned meeting. RUSH: That’s the rule, I know, but they turned it around and Issa’s the bad guy. When we come back, Wolf Blitzer is outraged Issa was so impolite to a member of the Congressional Black Caucasians. BLITZER: So impolite to Elijah Cummings, the ranking Democrat on the committee! He wanted to make a statement! The chairman, Darrell Issa, wouldn’t even let him make a statement! They had their opening comments before Lerner shows up and takes the Fifth, and Issa asks her seven questions. She says, “Screw you!” Issa said, “Well, that’s all we’re gonna get here,” and he adjourns the meeting, and Cummings says, “Wait a minute! Wait a minute! I got a question.” “What’s your question?” Cummings starts making an opening statement. Issa said, “I’m adjourning the committee. Opening statements are over,” and he turned off the microphone and left. That’s how Wolf saw it, and that’s how Wolf reports it to the 25 people watching CNN. No doubt low-information voters. RUSH: There she is again, Lois Lerner. Oh, man. You know people like that. You know liberals like that. You just do, and you know you do. Just unhappy, miserable. Everything in life is politics. Every day spent in rage and anger, plotting revenge against these evil social-conservative pro-lifers. Anyway, folks, here’s the truth, for what it’s worth. Elijah Cummings was faking it for the cameras and for the media, to generate and produce the exact reaction Wolf Blitzer gave him. Elijah Cummings was faking his anger, faking his outrage to make the story of the hearings about Issa and not Lois Lerner. The objective was to make this all about the mean, intransigent Republicans and to take the focus off the fact that Lois Lerner didn’t have the guts to answer any questions about what she did regarding the IRS. Lois Lerner is up there stonewalling and trying to keep everybody from learning what she and her underlings did. And then not asking one? He knew exactly what he was doing, and then faking outrage? The way he looked at it, he couldn’t lose. If Issa buckles and let’s him ask his question, he launches into an opening statement about reprobates and mean-spirited guys the Republicans are — and Issa sits there and lets it happen, because he wants to be fair and equal and let everybody speak — or Issa adjourns the hearing ’cause it’s over. RUSH: By the way, the question about contempt, Lois Lerner. According to The Politico, the Republicans are thinking about it. Politico says the Republicans are inching toward a vote to hold Lois Lerner in contempt. Others have said, “Why not just give her immunity and make her answer?” Folks, I don’t know. I shouldn’t say this, but I don’t know how badly they really want the answers. I shouldn’t say that, but. Austin in Clarksburg, West Virginia, great to have you on the EIB Network. Hi. CALLER: Yes, Rush. Are you there? RUSH: Yeah. Yeah. Right there. CALLER: Oh. Okay. Yeah, I just wanted to make a comment about this whole Lois Lerner thing. I’ve been following it since — first off, I’ve been taking courses at Hillsdale, and I’ve learned a lot, and, I mean, I haven’t gotten to it in a few days, but I’m on it, but my point about this Lois Lerner thing is that I truly believe that the Obama administration is using the Fifth Amendment as a weapon to protect corruption of this IRS targeting of conservative groups. RUSH: So you think they’re using the Fifth Amendment to destroy the First Amendment? RUSH: It’s an interesting thought. I mean, look, there’s no question this Regime sees the Constitution as a giant obstacle. It’s something they have to maneuver around. It’s something they have to weaken. It’s something they have to do something about. It’s an interesting way of looking at it. And, you know what? This is a demonstration right here of the value of that free Constitution 101 course that Hillsdale College is offering. He took it and he’s thinking this way. This is excellent. You can sign up for it at Rush4Hillsdale.com, just as a side note. RUSH: Why would you take the Fifth Amendment if there’s no corruption? If as President Hussein Obama says, that there is not a smidgeon of corruption, why would you take the Fifth Amendment? How could you possibly incriminate yourself if there is not a smidgen of corruption? Talking here about Lois Lerner. Got a CNN banner headline, by the way: “Clash at IRS Targeting Hearing.” Instead of highlighting her stonewalling, and that’s the whole point of what Elijah Cummings did. The media is focusing on Elijah Cummings making it look like Darrell Issa was mean to him. Darrell Issa wouldn’t let poor Elijah talk! That’s the news from the Lois Lerner IRS corruption hearing. “Issa wouldn’t let poor little Elijah talk. It wasn’t fair! Should have seen it. It was really mean.” That’s the story. What haven’t they stonewalled at this Regime? Fast and Furious, Benghazi, you name it. And Elijah Cummings is always there with the stones to build the wall. That’s his express purpose. Can you imagine the Drive-Bys letting a Republican Regime get away with stonewalling at every turn? When Mrs. Clinton was asked about the death of the ambassador, “Come on. What difference does it make now?” I’ll tell you, there was something else here that Stonewall Cummings wanted to distract from. Greta Van Susteren just tweeted about this. There’s an e-mail from Lois Lerner, the subject line of her e-mail was, “Tea Party matter very dangerous.” And Issa asked her some serious questions. Let me get the list of questions. “What did you mean by Cincinnati should not have these cases?” “Why would you say Tea Party cases were very dangerous?” That’s the e-mail. “Tea Party matter very dangerous.” “Why would you say that?” That was the subject of her e-mail. What do you think she meant? “Tea Party matter very dangerous.” What would be dangerous with what they did with the Tea Party unless they had violated something? So she was sending e-mails to her colleagues saying, “Hey, what we’re doing here with this bunch is really, really dangerous.” And it goes on to talk about how this could be a vehicle to overturn Citizens United, which we all know that is the top priority of Obama and Lois Lerner and every Democrat, that Citizens United case has them bugged like you can’t believe. Do you even remember what it is? Citizens United, you know what that case was? This is the case that said corporations are people, too, and they can donate to political campaigns and causes. And the left hasn’t gotten over it. Obama sat there and insulted the Supreme Court during a State of the Union show, and Alito is sitting there shaking his head, “No” as Obama is giving his fraudulent analysis of the ruling. Unions have the same protection, but yet corporations are not people, they’re evil, they’re evil, they shouldn’t be allowed to buy their way in our system. And this targeting of the Tea Party by the IRS was just — well, I think it would have happened without Citizens United, but the fact that Citizens United had happened just sent them into orbit. And that’s the memo that she wrote talking about the dangers involved here, that was the memo that Issa was talking about when he asked Lerner, “Ms. Lerner, what did you mean by Tea Party matter very dangerous?” Then she plead the Fifth. “What did you mean by that?” she was asked. Issa’s committee has also uncovered that Lois Lerner gave a speech at Duke University where she talked about her frustrations with the Supreme Court’s ruling on Citizens United, saying it had dealt a huge blow, overturning a 100-year-old precedent that basically corporations couldn’t give directly to political campaigns. This is none of her business. She doesn’t get to impose her own political views while administering the IRS. But these people are all activists, and they’re just assigned to various jobs in the Regime. Allowing corporations to donate levels the playing field. Democrats don’t want fairness. They don’t want equality. They want a constant advantage. That’s why all this BS about equality and fairness is just a bunch of crap, if I might be blunt.